Yesterday RDRF and our colleagues in other organisations supporting road danger reduction met with Transport for London and it now appears that the issues referred to below may be resolved after all. See this post for the latest news. This entry was posted in News on May 30, 2014 by rdrf. 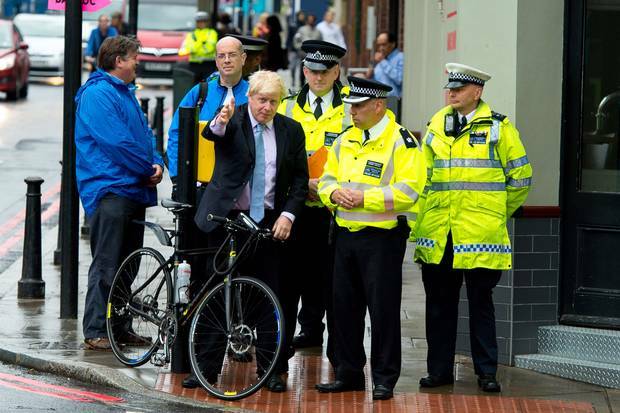 Is there a real “cycle safety crackdown” in London? This entry was posted in "Road Safety", Cars, Cycling, News, Road Danger Reduction, Uncategorized on May 28, 2014 by rdrf. This entry was posted in Cars, Costs of motoring, Cycling, Road Danger Reduction, Walking on May 22, 2014 by rdrf. What’s wrong with TfL’s Pedestrian Safety Action Plan? fails from the start. Despite a rough attempt to consider what is meant by the term “pedestrian risk”, it is not clear about what it thinks pedestrian safety is. Having a well formulated set of approaches to the problem – which it doesn’t seem to have anyway – is not really going to be possible if we can’t be certain what the problem is in the first place. This entry was posted in Road Danger Reduction, Walking on May 9, 2014 by rdrf.